After creating and then coaching the Pittsford boys team in 1977, was the head coach until 2003. During that time he was named “Coach of the Year” three times and was “Man of the year” twice. His Pittsford teams won Section V titles in 1994 and 1999 and won the Western Regional Championship in 1994. Many players were named All-Americans, three played in the Scholastic North-South games and a large number went on to play in college. Much to his delight, several became high school and college lacrosse coaches. 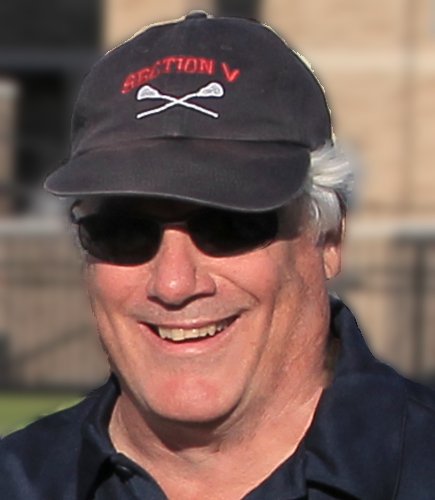 For more than twenty-five years, Coach Wilson has been the Section V Assistant Coordinator for boys lacrosse. He and long time Coordinator, Mike Simon have orchestrated the annual tournaments and have brought the New York State Lacrosse tournaments to Section V.
Well known for creating web sites for boys (and girls) lacrosse in the area, SportsFive Media websites have provided scholastic lacrosse news, scores and player data sines the late 1990’s. BlaxFive.NET has provided more than 1.2 million page views each year since 2016, while GLaxFive.NET which started in 2013 provided more than a half million pageviews in 2017. 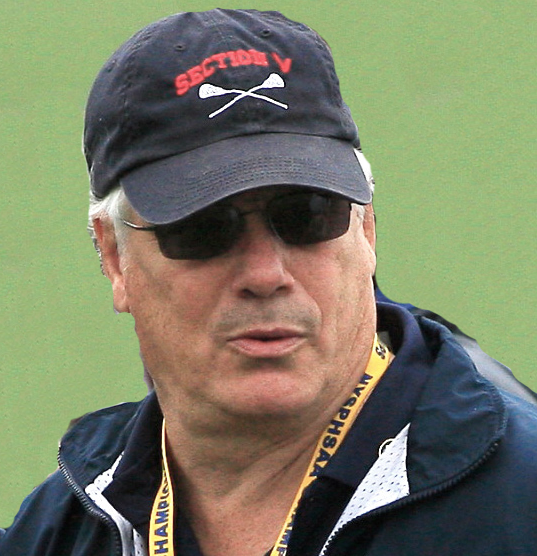 Coach Wilson was honored with the first Achievement Award by the Genesee Valley Lacrosse Officials Association in 2013 was was inducted into the Rochester Chapter of the US Lacrosse Hall of Fame in 2005.